Awhile back I won a new Funky Fluff cloth diaper, from a new company in Toronto. 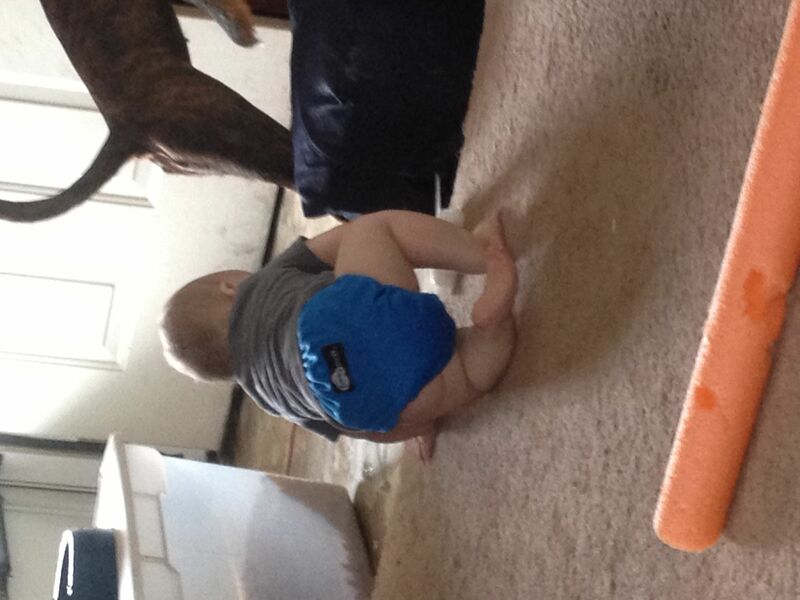 They came out with a new design on cloth diapers, where their only diaper is a pocket, an AIO and an AI2. 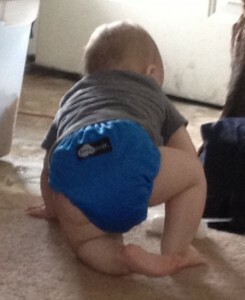 I’m a big pocket diaper fan, I love how easy they are to use, and really how easy they are for hubby to use. They are as simple as a disposable, but way better for everyone involved. I was not patiently waiting for my Funky Fluff to come, I wanted it Yesterday, if you know what I mean, but when it finally got here, I was so excited. In fact the same day I told the local cloth diaper store about it. I opened it up, and saw the bamboo, and oh! how I love bamboo, it is so soft and pretty. Then I pulled out the insert to check it out. It was thin, but bamboo works well, so this wasn’t an issue for me, plus there was a smaller one, so I could double it up if I wanted. The normal size insert can snap in, inside the pocket or outside of it, or just lay in the pocket if you wanted it to agitate itself out, during wash. Because it opens on both ends. The front end though covers quite a bit down the inside of the diaper, so I’m unsure how well it would agitate out, though I’m sure it’s been tested. I can’t test it myself because I don’t think front loaders are a good indicator of that working- does anyone know for sure? The front of the diaper has 4 size settings for the height, and then snaps across top to close diaper. Not sure if they have h&l though. What I didn’t think really like was that there are only 2 sets of snaps for the height of the diaper, it seems like the middle doesn’t have the security to stay in place, like most with 3 sets. That said we’ve used it enough times and it doesn’t leak or cause any problem. The only issue I have with diaper is the bamboo, which, like most organic fabrics, stains easily. I know I can sun it, but I haven’t gotten there just yet. Other than that, the absorbency is great, the fit is great, the colors awesome, and it offers many conveniences.